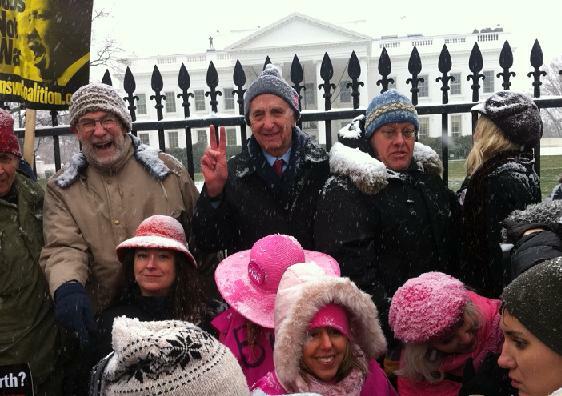 Chris Hedges, standing to the right of Daniel Ellsberg, on Dec 16, 2010, at the demonstration that, in the main stream media, didn’t happen. Probably the most important news in recent times, because it involved people, who were once in government, the CIA, and the media. They were here at the White House to give us a message and it was not to be found in the main stream media, not even in the NY Times, where Hedges was once the Middle East bureau chief. In 2002, Hedges was part of the team of reporters at The New York Times awarded the Pulitzer Prize for the paper’s coverage of global terrorism, and was a foreign correspondent for fifteen years (1990–2005). 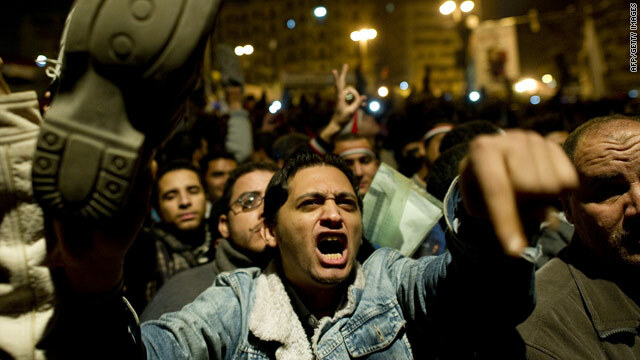 The uprising in Egypt, although united around the nearly universal desire to rid the country of the military dictator Hosni Mubarak, also presages the inevitable shift within the Arab world away from secular regimes toward an embrace of Islamic rule. Don’t be fooled by the glib sloganeering about democracy or the facile reporting by Western reporters—few of whom speak Arabic or have experience in the region. Egyptians are not Americans. They have their own culture, their own sets of grievances and their own history. And it is not ours. They want, as we do, to have a say in their own governance, but that say will include widespread support—especially among Egypt’s poor, who make up more than half the country and live on about two dollars a day—for the Muslim Brotherhood and Islamic parties. Any real opening of the political system in the Arab world’s most populated nation will see an empowering of these Islamic movements. And any attempt to close the system further—say a replacement of Mubarak with another military dictator—will ensure a deeper radicalization in Egypt and the wider Arab world. While most equity-related assets got battered, a select group of stocks, oil shippers, were corking champagne bottles. Apart from Overseas Shipholding, Frontline Ltd. had a killer day, gaining 7.8% or $1.96 to $27.10. 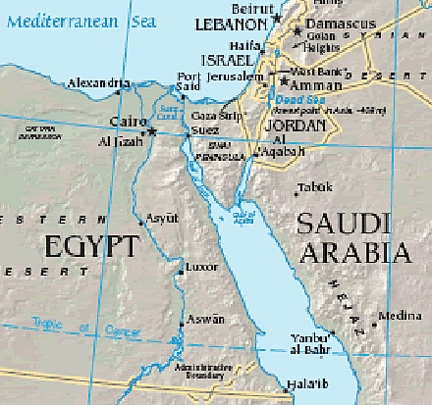 An analyst for a shipping hedge fund explained that the spike is connected to fears surrounding the continued operations of the Suez Canal, amidst social unrest caused by massive riots against President Hosni Mubarak’s 30 year rule. “While Suez closure is not much of a threat, shippers are refusing to load in the Red Sea and transit the Canal,” explained the trader. “What’s probably going to happen is that they re-rout ships to the Cape [of Good Hope],” he noted. The change involved is not just giving a tanker captain a different map and saying “get on with it.” Because of the relative size of the Suez Canal, there are different sizes of tankers involved, and so I thought it useful to talk about the different sizes of tankers, how fast and where they go, (and what the cost of that re-routing might be) in the post today. CAIRO – State TV says the top leadership body of Egypt’s ruling party, including the president’s son Gamal Mubarak and the party secretary-general Safwat el-Sharif, resigned Saturday in a new gesture apparently aimed at convincing anti-government protesters that the regime is serious about reform. Protesters have shrugged off other concessions by the regime in the past 12 days of unprecedented street demonstrations, saying they will settle for nothing less than the immediate ouster of President Hosni Mubarak, Egypt’s ruler for nearly 30 years. State TV said the ruling party’s six-member Steering Committee of the General Secretariat stepped down and was replaced. The council was the party’s highest decision-making body, and el-Sharif and other outgoing members were some of the most powerful — and to many Egyptians, unpopular — political figures in the regime. CAIRO — An Egyptian reporter who was shot during clashes a week ago died of his wounds Friday, his employer said, in the first reported death of a journalist in the chaos surrounding Egypt’s anti-government protests. Ahmed Mohammed Mahmoud, 36, was taking photographs of fighting between protesters and security forces from the balcony of his home when he was shot Jan. 28, state-run newspaper Al-Ahram said on its website. Mahmoud worked for Al-Taawun, a newspaper put out by the Al-Ahram publishing house. He lived near central Tahrir Square, the focal point of protest rallies as well as clashes this week between large crowds of supporters and opponents of President Hosni Mubarak. The Qatar-based television network Al-Jazeera said its offices in Cairo were set ablaze, along with the equipment inside it. Mubarak supporters assaulted dozens of correspondents with virtual impunity in central Cairo this week with little intervention from nearby military units.